Being at the vet is a scary place for a lot of pets. 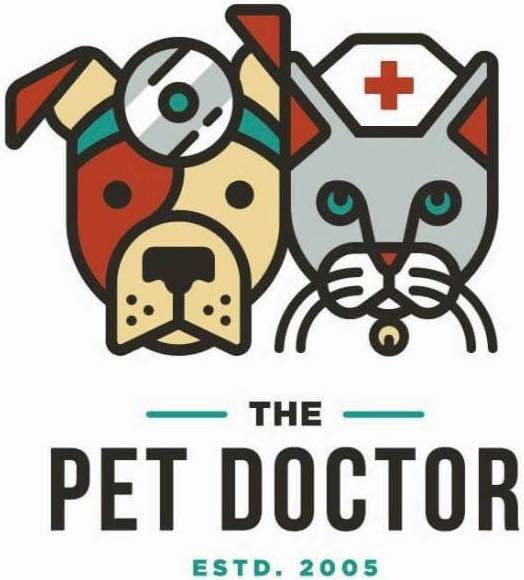 We decided to look at the latest research and look at what we could do to make The Pet Doctor a low-stress place for pets to receive medical care. Last year, Fluffy the cat came to visit us. Prior to that visit, it had been 2 years since Fluffy had been to the vet. At the last visit, it took her owner an hour and a half to get her into her carrier. On her arrival, she was petrified by the barking dogs in the lobby and then once we got her in the exam room, she was so upset that it was impossible to touch her. It is because of pets like Fluffy that we decided to rebuild our practice from the bottom up.From the moment we started to plan our new facility, our most important consideration was to do everything that we could to make being at the vet a positive experience for our animal patients. We started at the front of the building. Our covered entrance gives pets time to settle in before they come into our lobby. Our paint colors are considered to be low stress. Even our flooring is designed with your pet in mind, using materials that are less slippery. We noticed over the years that certain noises can really be scary for some pets, so we used noise proofing in our exam room walls to help keep pets from hearing that there are other animals nearby. Our cat-only exam room eliminates dog smells and makes it a lot less scary for cats. In the back of the hospital, the cat wards are divided from the dog wards by a full corridor. This keeps both species more comfortable. All of our treatment wards are laid out so that no pets face each other while in their kennels. This also decreases stress. When Fluffy came to visit us this time, the difference was night and day. Because she was calmer and not so worried about the sights and smells of the dogs in the clinic, we were able to perform a much more thorough exam. The sad part was that we found terrible dental disease and Fluffy ended up losing a lot of teeth. If we had seen Fluffy more often, we could have caught it earlier and helped prevent tooth loss and a lot of discomfort. When pets are less stressed, their owners are more likely to come in regularly and get their pets the care they need. It is our hope that our new design will help prevent Fluffy from feeling stressed at the vet and help her to have a happy, healthy life.